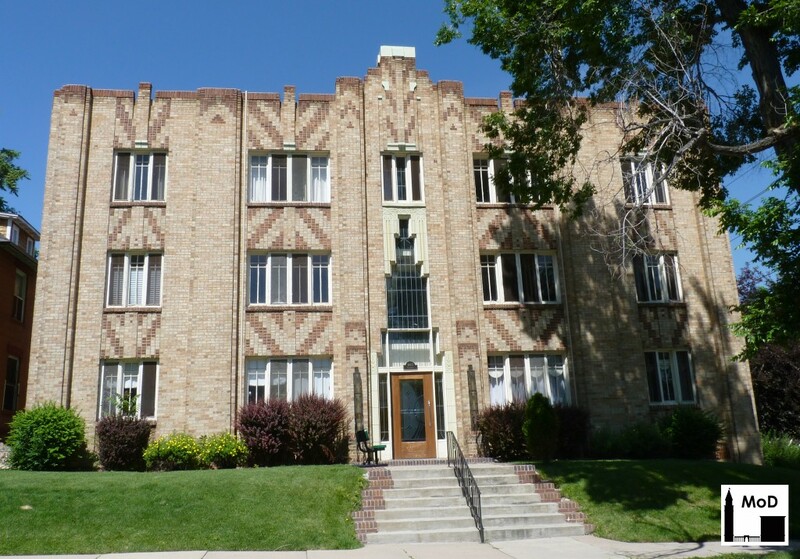 I happened upon this apartment building the other day while riding my bike around the Congress Park neighborhood. 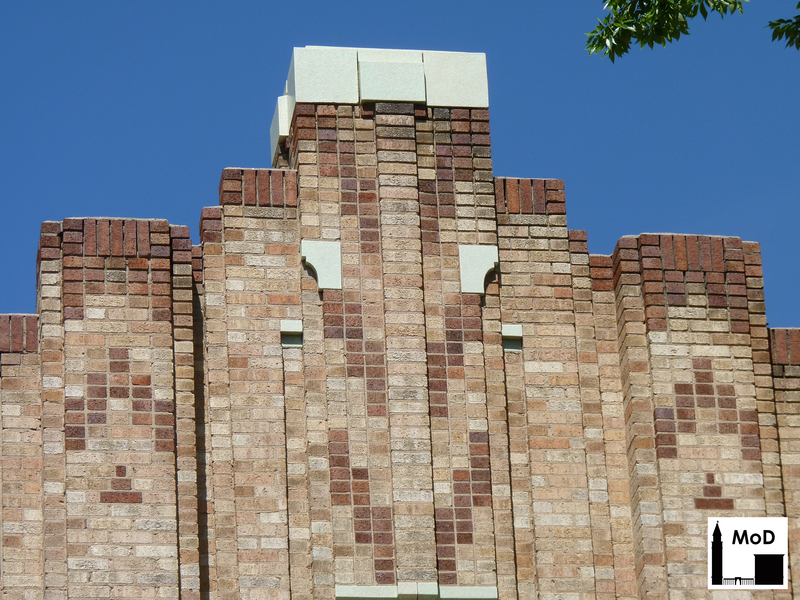 I just love the Art Deco brickwork patterns created using different colors of brick. There are also really cool Art Deco light fixtures flanking the entrance. 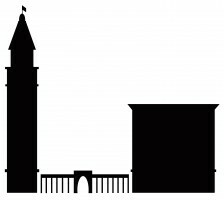 The main body of the building is mixture of tan, beige and light-brown colored bricks. These were installed with stretchers (the long face of the brick) and headers (the short end of the brick) facing out. 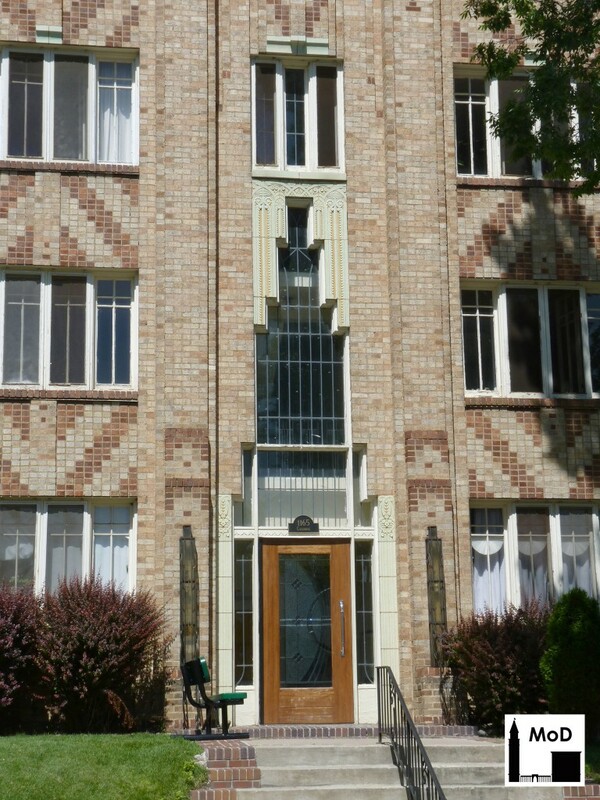 The Art Deco herringbone pattern at the spandrels and cornice, however, was done using a medium-brown and orange-brown colored brick, which were all installed with headers facing out. Some of the darker coping bricks found at the top of the parapet were installed as ‘soldier bricks’ with their long sides oriented perpendicular to the ground. I guess the Art Deco brickwork wasn’t interesting enough on its own. The architect accented the center of the building using polychrome terra cotta, though the colors are limited to buff and yellow. 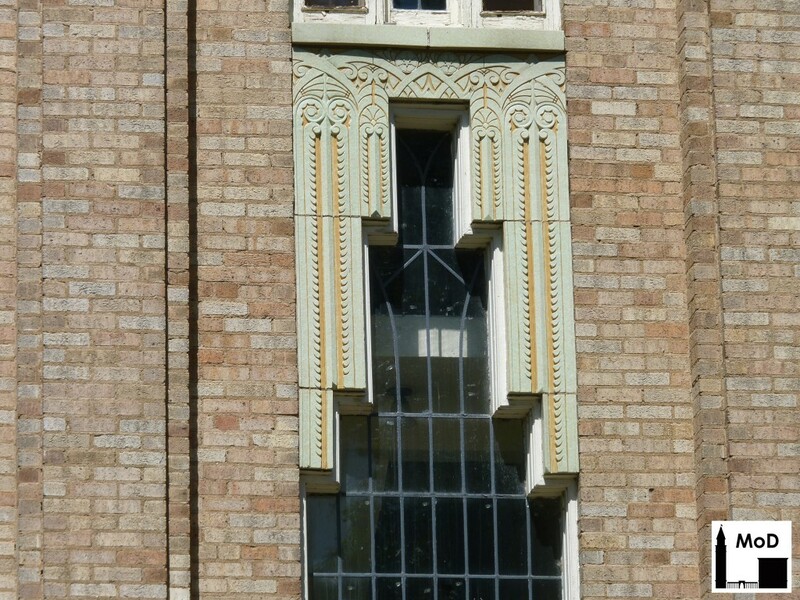 Check out the floral detail of the terra-cotta frieze just above the entrance.